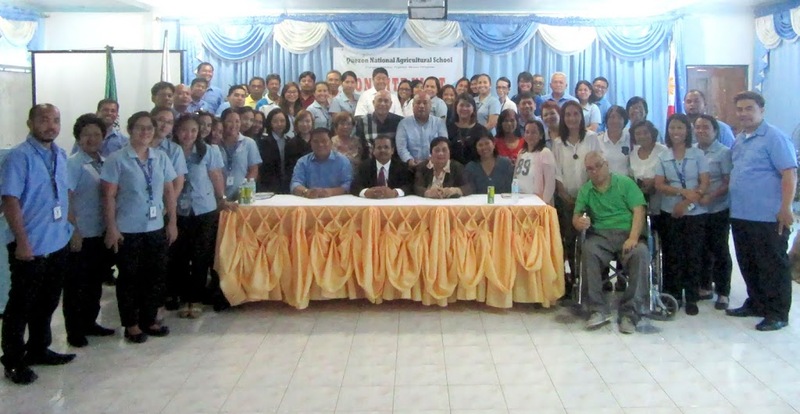 The Asia Pacific Accreditation and Certification Commission (APACC) visited the Quezon National Agricultural School (QNAS) from September 4 to 5, 2017 for an onsite revisit and revalidation of their APACC Accreditation. The institution was previously visited in 2009 and was granted silver level accreditation. The APACC Team led by Prof. Dr. G. Kulanthaivel, Colombo Plan Staff College (CPSC) Faculty Consultant together with Prof. Dr. Romulita Alto, CPSC Faculty Consultant and CPSC Projects and Consultancy Assistants Ms. Felice Jeanine Marquez and Ms. Julifer Madeja, conducted the 2-day onsite revisit. Dr. Gerardo Marasigan, the Vocational School Administrator of QNAS, shared that the APACC Silver level accreditation first received in 2009 served as an inspiration to the school to strive harder and maintain the best practices. 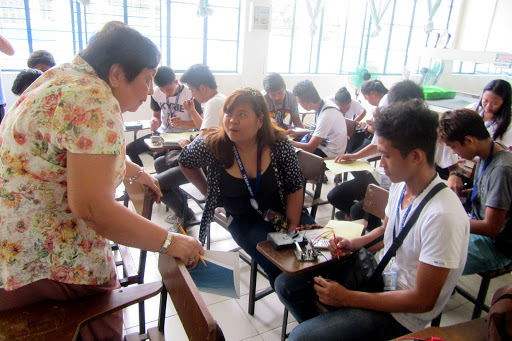 He also shared the history, mission and vision and the recent developments in QNAS, as well as benchmarking activities and mock audits conducted with some APACC accredited institutions such as TESDA Women’s Center and Concepcion Vocational School. In his special remarks, Prof. Dr. G. Kulanthaivel shared the current status of APACC and the growing interest to apply for the APACC accreditation especially in India and Thailand. He also shared about the Association of APACC Accreditees (AAA), the group formed by APACC that will serve as a channel to facilitate student, faculty and staff mobility among APACC accredited institutions. This was followed by a special message from Dr. Romulita Alto wherein she stated that quality is a long journey and a continuous process. QNAS offers certificate courses in various fields such as Agriculture, Electronics, Construction, Metals and Engineering Sector and Health Social and other Community Development. The school aims to deliver the highest quality technical vocational education and training through the integration of functional partnership with stakeholders, effective extension programs, relevant researches and productive enterprises. It envisions to be a premiere center of excellence providing sustainable programs and services towards the development of technically competent, innovative, and morally upright workers and entrepreneurs. The results of the visit will be sent soon after the deliberation of the APACC Board.